I have been continuing with my Fall Weight Loss Journey and am happy with my eating plan. 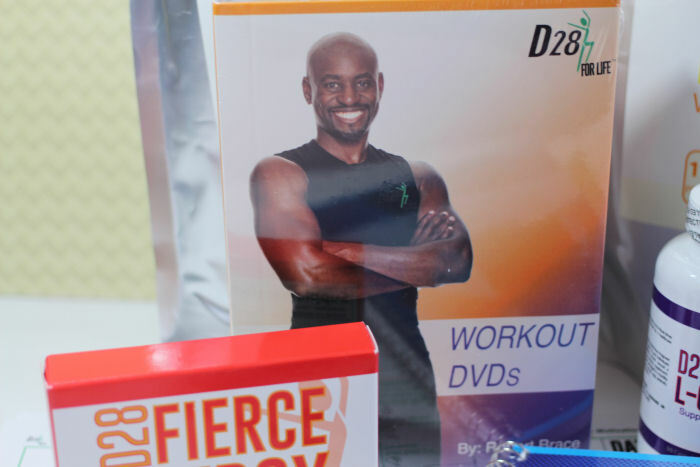 I wanted something more structured with motivation and exercise so it was the perfect timing that I got to review the D28 for Life Home Fitness Program by Robert Brace. I was so excited when I got my box of goodies from D28. 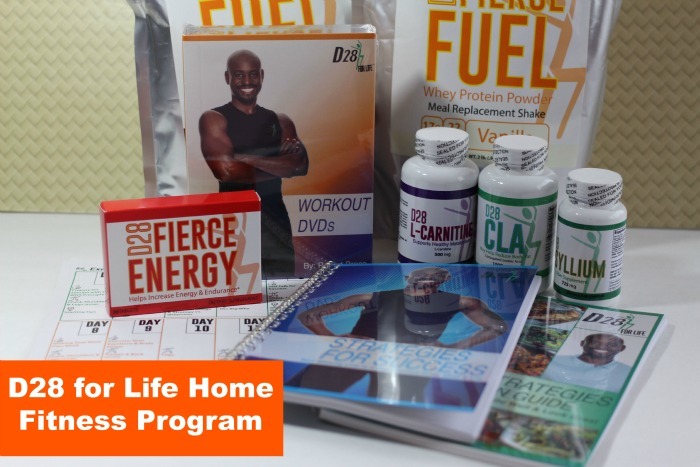 You get supplements, protein powder meal replacements, a book full of recipes and nutritional guide, menu calendar, exercise calendar, fitness DVDs and a Strategies For Success Guide. 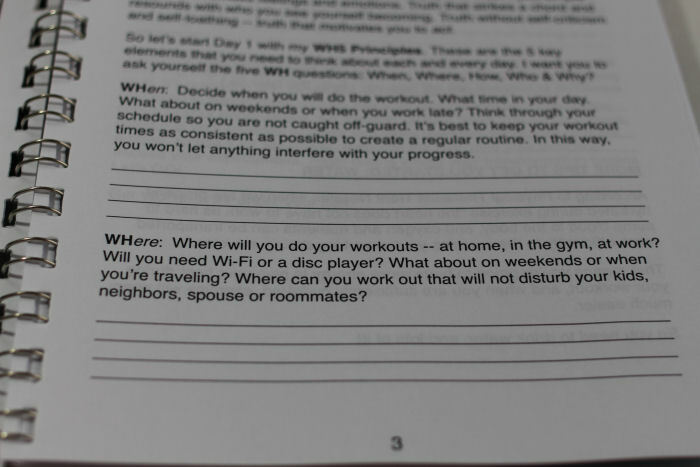 I love that this is not just a program that tells you eat this and do this exercise. With the Success Guide and Motivational talks from Robert Brace, it makes it easy for you to continue and change your life. The program doesn't just end after the 28 days either, included in the program are strategies to continue on the weight loss journey and maintain your weight loss. I was really impressed at how well thought out the program is. All you have to do is put up your calendar and follow it from there. It tells you what to read and do in the success guide, what exercise to do and what motivational video to look at day by day. 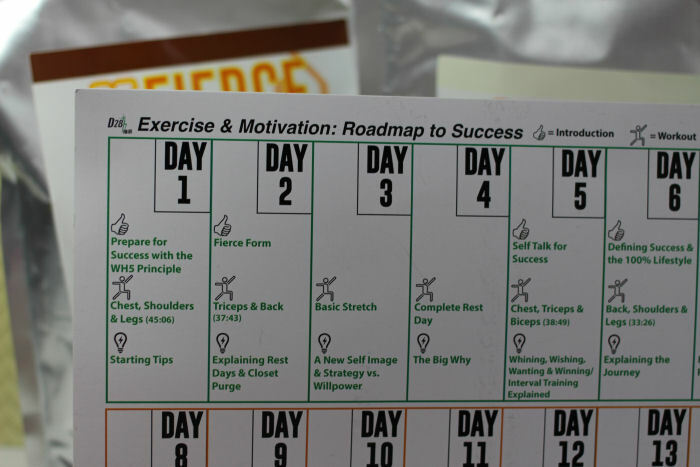 I put up my Exercise & Motivation: Roadmap to Success up on my Weight Loss Command Center and I was ready to go. There is also a menu calendar that tells you what to eat for breakfast, lunch, dinner and snacks day by day. The exercise DVDs were a bit challenging for me because I have been just walking a lot and doing the treadmill at my gym on occasion. I love the challenge of doing the workouts so I kept going at it and did as much as I could. I felt very sore the days after the hard workouts but I know that my muscles got a good workout. I have been on the program over almost 3 weeks now with my own meal plan and I have lost over 14 pounds! 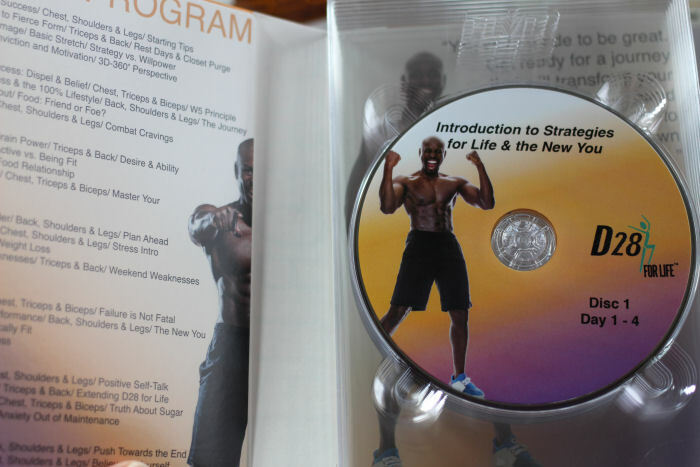 My favorite part of the program is the Strategies for Success guide. I feel like I have homework and it is really helping me with the emotional and mental side of dieting. Click on the link to try the D28 for Life 28 Day Challenge for yourself and use the code MFELICIANOFL. If for any reason you are not satisfied with the program you can just call customer service and you will only get charged for shipping costs. OMG I love him. I had no idea this was out, but I want to try it, too! I've seen this program before. Never known anyone who has completed it, but hoping to see some results! This is interesting and I can't wait to see if it continues to work for you. I need to get on a more strict routine! My workouts are all over the place, so are my results! It sounds like a great way to stay motivated and accountable. I could use something like this. Sounds like a programs that really works. Congrats on losing 14 pounds! That's fantastic that you've lost so much. I like that it includes both calendars and DVDs! That's great!! You're very motive when it comes in fitness. I wish I'am motive too lol, I used to go in gym one month ago, but now I don't have time to exercise and to be fit. I'm always up for trying a new exercise program! So I don't get bored! Congratulations on the 14-pound weight loss. That is an incredible accomplishment, and you have worked so hard for it. D28 sounds like a good plan, and it's great to hear that the workouts, while challenging, paid off well. Works Cited - Paul, Steve. “Testogen Review: Benefits, Side Effects & Where To Buy Guide!” Testosteroneofficial.Com Ie. Testosterone Official, https://testosteroneofficial.com/reviews/testogen/. Accessed 20 oct. 2018. This is extraordinary news for us that we can buy the best nature of medications for working out and these medications won't cause any symptom on your body and you can buy these medications frame this summitgym.net/, and by utilizing these medications you can without much of a stretch increment the development rate of your body muscles. References - Velez, Valeria. 2018. “Phen24 estudios científicos: recetas para bajar de peso.” Adelgazaroficial.Com Ie. Adelgazar Oficial. Accessed November 23. https://adelgazaroficial.com/phen24/. You want to look for a fitness club that will suit your hectic schedule. Otherwise, you will be paying for a gym you can't get access to at times that suit you the most.